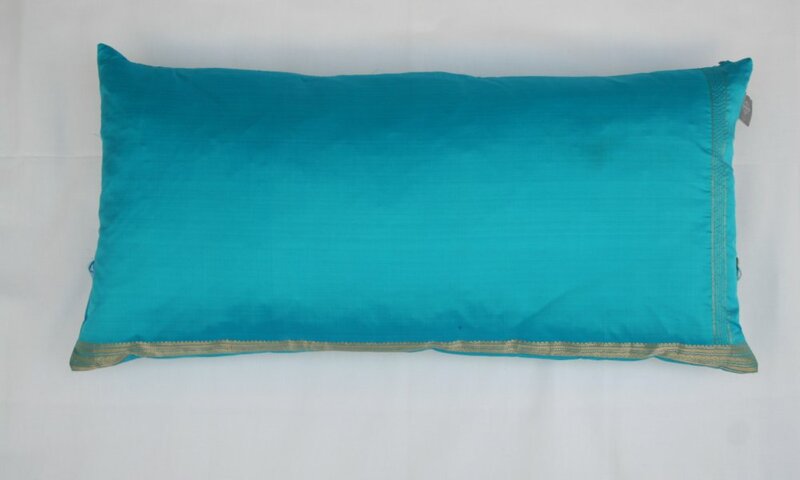 30cm by 60cm turquoise silk with gold banding saree cushion with tassel overlay. 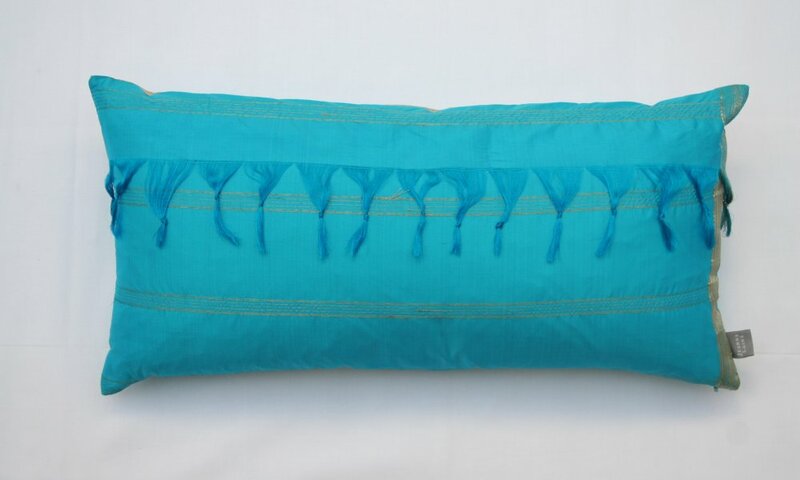 Subsequent cushions will not have the tassels.The back is plain with a gold border detail. Cushion has a concealed zip, feather pad and brand label. Due to the delicate nature of silk, this cushion is dry clean only. Limited edition colourway.